Happy holidays: The holiday season is famous for being "the most wonderful time of the year," but for Hollywood it's actually the second most wonderful. Summer ranks first in terms of boxoffice business because it's spread over three months.The holidays, however, pack a tremendous punch in a much shorter period of time. The week between Christmas and New Year's has become a prime moviegoing period, especially for families. It's a great way to keep the kids busy when school vacations drag on and parents find themselves going a little crazy having everybody home, especially if there's nasty weather to contend with. Over the years,seeing a movie has turned into one of the favorite ways that people unwind on Christmas Day after unwrapping gifts and overeating. That's clear from some moviegoing statistics for the ghosts of Christmas past that were recently pulled together by Rentrak, the leading tracker of boxoffice grosses. Looking back at just the last five years shows how popular moviegoing is on Dec. 25. Last Christmas Day saw total ticket sales of $77.3 million. "The Hobbit: The Desolation of Smaug" ledthe pack with $9.3 million for the day, its 13th day in theatres. Christmas Day 2012 had $74.9 million in ticket sales, led by "Les Miserables," which opened that day to $18.1 million. In 2011 Santa delivered Christmas Day grosses of $61 million, led by "Mission: Impossible – Ghost Protocol" with $13.7 million for its 10th day in theatres. For Christmas Day 2010 ticket sales totaled $58.7 million, led by "Little Fockers" with $14.6 million on its fourth day in theatres. The record for Christmas Day boxoffice heat was set in 2009 with $86.6 million. The driving force was "Sherlock Holmes," which opened that day to $24.6 million. Those numbersonly reflect Christmas Day moviegoing. Since the holiday period actually stretches from Christmas through New Year's, its boxoffice impact is substantially greater. This year Hollywood will also get some help from the calendar since Christmas and New Year's Day both fall on a Thursday. In years when the holidays fall on weekend days, the Santa-driven surge in ticket sales isn't as valuable because it comes on days that are normally the strongest moviegoing days of the week. Having the holidays on Thursday is great because many people don't have to go to work Friday. That means they can stay out to see movies Christmas night or catch matinees the next day. With that in mind, Hollywood is opening a mix of high profile films in wide or limited release Dec. 25 targeted to family audiences, older teens, young adults and even mature moviegoers checking out Oscar hopefuls. There also will be pictures playing that arrived before Christmasto position themselves as alternatives for holiday audiences. Here's a quick look at some of the titles competing for holiday audiences' time and money. 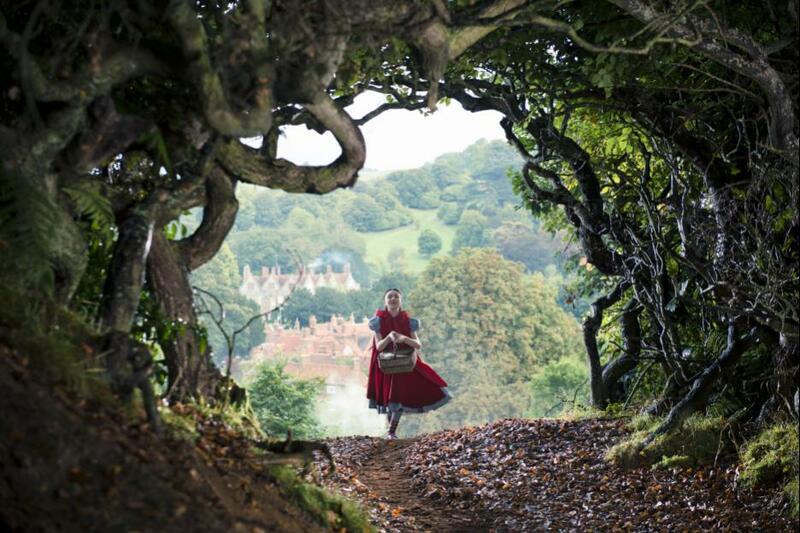 Disney's PG rated family fantasy comedy "Into the Woods," opening Dec. 25 at about 2,200 theatres, is directed by Rob Marshall ("Chicago") and is based on the hit musical play by Stephen Sondheim and James Lapine.Starring are: Anna Kendrick, Meryl Streep and Chris Pine. It's tracking as a double digit overall first choice and doing best with women over 25. That's the moms-with-kids audience that family appeal films must bring in. "Woods" gives a contemporary twist to some classic Brothers Grimm fairy tales, combining familiar stories and looking at what happens to their legendary characters. Cinderella (Kendrick), Little Red Riding Hood (Lilla Crawford), Jack and the Beanstalk (Daniel Huttlestone) and Rapunzel (MacKenzie Mauzy) are all linked by an original storyline about a baker and his wife (James Corden and Emily Blunt). The couple is so eager to have a child that in order to make that happen they strike a deal with a witch (Streep), who promises tohelp them provided they bringher certain items – including, Little Red Riding Hood's cape, Jack and The Beanstalk's milky-white cow, Cinderella's slipper and some locks ofRapunzel's golden hair. The baker must travel into thedark and mysterious woods andconfront the giant from Jack and The Beanstalk, who threatens to destroy the entire village. "Woods"is brand name entertainment after being a huge hit on Broadway, opening Nov. 5, 1987 at the Martin Beck Theatre and running for 764 performances. It won Tony Awards for best score, book and actress in a musical and also received five Drama Desk awards, including best musical. Adult moviegoers are the likely core audience for Universal and Legendary Pictures' PG-13 biographical action drama "Unbroken," also opening wide Dec. 25 at about 3,000 theatres. Directed by Angelina Jolie ("In the Land of Blood and Honey"), it stars Jack O'Connell, Domhnall Gleeson and Jai Courtney. It's tracking best and equally well with men and women over 25. O'Connell plays Olympic runner Louis Zamperini, who was captured by the Japanese during World War II. As a Hollywood A List star who's always in the media spotlight, Jolie will automatically be on Academy members' radar for directing "Unbroken." Earlier this month, the Broadcast Film Critics Association gave Joliea best directing nomand nominated "Unbroken" in the best picture race for its 20th annual Critics' Choice Awards. The film also received BFCA nods for adapted screenplay and cinematography. The Weinstein Company and Tim Burton Productions' PG-13 rated adult appeal biographical drama "Big Eyes" will open semi-wide Dec. 25. Directed by Tim Burton ("Alice in Wonderland"), it stars Amy Adams, Christoph Waltz and Krysten Ritter. It's not on tracking reports, but should play best to adult women. "Big" is based on the true story of artist Margaret Keane (Adams) and her husband,Walter (Waltz), who took credit for his wife's paintings while she worked in obscurity. Christmas Day will also bring Paramount Pictures and Winkler Films' R rated crime thriller "The Gambler," opening nationwide. Directed by Rupert Wyatt ("Rise of the Planet of the Apes"), it stars Jessica Lange, Mark Whalberg and Brie Larson. It's tracking best and in double digits with 25-plus men and next best with under-25 males. Whalberg plays Jim Bennett, an English professor who's also a high-stakes gambler. Bennett puts everything on the line including his life as collateralfor a gangster's loan. Bennett pits his creditor against a gambling ring operator, leaving his dysfunctional relationship with his wealthy mother in his wake. Bennett plays both sides, immersing himself in an illicit, underground world while getting attention from a loan shark (John Goodman) who takes a paternal interest in his future. Then, as his relationship with a student deepens, Bennett must take the ultimate risk for a second chance. "Gambler" could benefit from being the only new R rated wide release hitting the multiplexes Christmas Day. That stems from Columbia Pictures having pulled the release of its R rated action comedy "The Interview," following the hacking of Sony Pictures' computer systems in late November and subsequent threats by the hackers. Directed by Evan Goldberg & Seth Rogen ("This is the End"),it stars James Franco, Seth Rogen and Randall Park. To some extent, all films in the holiday marketplace will benefit from "Interview" having evaporated. The picture would probably have gone into 2,500 or more theatres, so those screens are now available for other titles to open wider or to enable holdovers to keep their screens longer than would have been the case. The limited release of Warner Bros. and Village Roadshow's R rated biographical action drama "American Sniper" is starting out at four theatres Christmas Day and will go wide Jan. 16. It's not on the tracking yet, but should play best to adult men. 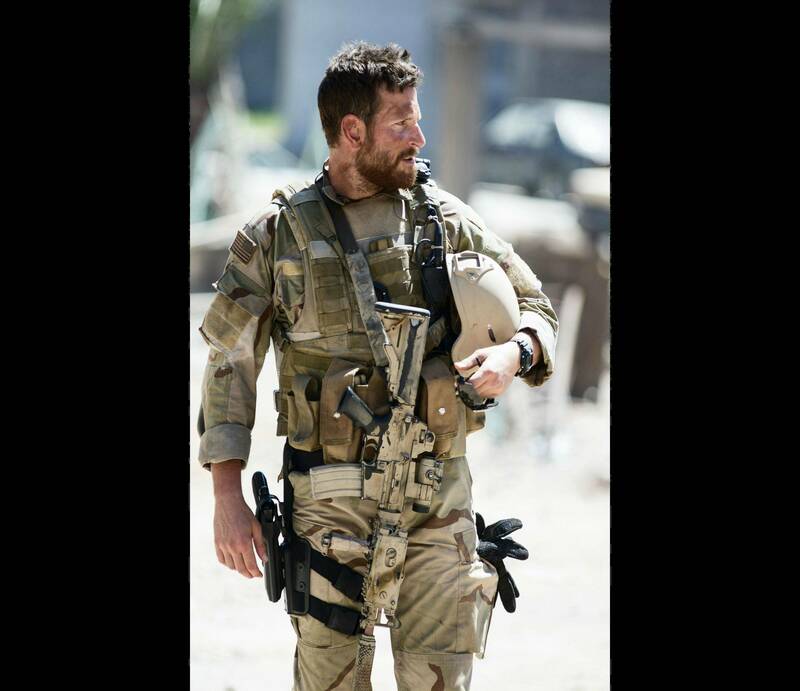 Directed by Clint Eastwood ("Million Dollar Baby"), "Sniper" stars Bradley Cooper, Sienna Miller and Jake McDorman in the true story of U.S. Navy SEAL Chris Kyle (Cooper) with over 150 confirmed kills to his credit. Eastwood already has four Oscars to his credit – in 1993 for best picture and directing for "Unforgiven" and in 2005 for best picture and directing. Academy members are likely to pay attention to any new film that Eastwood directs. Paramount and Plan B Entertainment's historical drama "Selma," is directed by Ava DuVernay ("Middle of Nowhere") and focuses on Dr. Martin Luther King Jr., LBJ and the 1960s civil rights marches. Starring are: David Oyelowo, Carmen Ejogo and Tom Wilkinson. After opening Christmas Day at about 19 theatres, it will go wide Jan. 9 in advance of the Jan. 19 Martin Luther King Jr. holiday. It's tracking best and equally well with women under and over 25. Oscar voters have embraced "Selma's" general subject matter in the past and could do so again. It also should help that its producing team includes Brad Pitt and Oprah Winfrey, both of whom are no stranger to the Academy. Dec. 25 will also see a wider release for The Weinstein Company's PG-13 rated biographical drama "The Imitation Game,"which has been playing in limited release since Nov. 28. The film began generating an Oscar buzz when it won the People's Choice Award at the Toronto International Film Festival in September. With TWC's legendary co-chairman and awards marketing guru Harvey Weinstein managing its Oscar campaign, "Game" could wind up in the best picture game. Its story is set in 1952 when British authorities investigated a reported burglary at the home of World War II hero Alan Turing (Cumberbatch). They wound up arresting Turing for "gross indecency,"leading to his conviction for homosexuality, a criminal offense in England at the time. Turing had cracked Germany's Enigma machine codes, helping to shorten the war andsave thousands of lives. Warner Bros.' R rated film noir "Inherent Vice,"which world premiered last fall at the New York Film Festival, expands its run Dec. 25 after opening Dec. 12 in limited release. It's written and directed by five time Oscar nominee Paul Thomas Anderson ("There Will Be Blood," "Magnolia," "Boogie Nights"). Based on the novel by Thomas Pynchon, "Vice" stars Reese Witherspoon, Jena Malone, Josh Brolin and Joaquin Phoenix. It's not on tracking studies yet, but should play best to adult men. Phoenix plays a private eye trying to find his ex-girlfriend (Katherine Waterston) in the 1970s drug culture of Los Angeles. Anderson was Oscar nominated for "Blood" in 2008 for directing, writing its adapted screenplay and being one of its producers. Several pre-Christmas holdovers will also be attracting holiday audiences. "The Hobbit: The Battle of the Five Armies"from Warner Bros., New Line Cinema, MGM and WingNut Films opened last weekend in first place with $56.2 million and a five day cume of $90.6 million. Directed by Peter Jackson (the "Hobbit" and "Lord of the Rings" franchises), the 3D fantasy adventure stars Ian McKellen, Martin Freeman and Richard Armitage in the third chapter of the "Hobbit" series. 20th Century Fox's PG rated family comedy adventure "Night at the Museum: Secret of the Tomb"opened in second place last weekend with $17.4 million. Directed by Shawn Levy ("Night at the Museum" and "Night at the Museum: Battle of the Smithsonian"), it stars Robin Williams, Dan Stevens and Ben Stiller. ColumbiaPicturesand VillageRoadshowPictures' PG rated family musical comedy drama "Annie"opened last weekend in third place with $16.3 million. Directed by Will Gluck ("Easy A"), it stars Jamie Foxx, QuvenzhaneWallis and Rose Byrne. Bottom line:Celebrating the holidays can bring a visit to a multiplex as well as "A Visit From St. Nicholas."